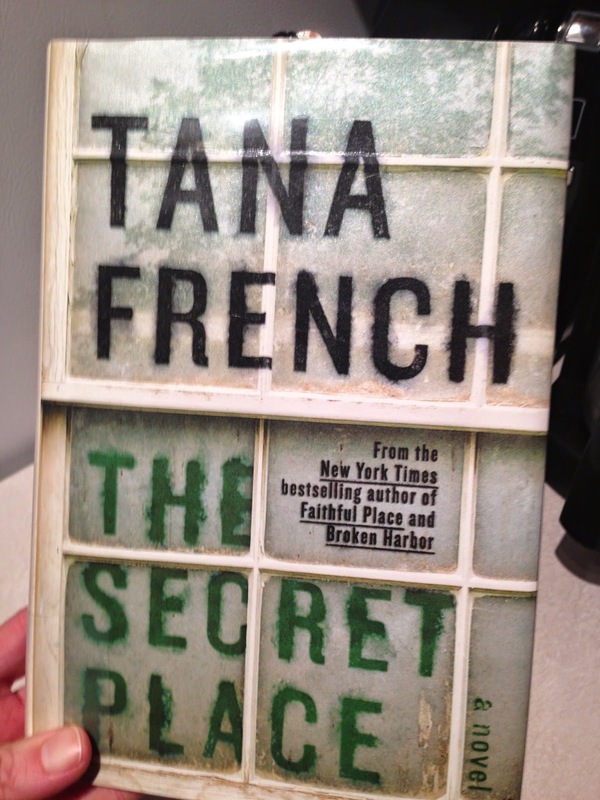 the secret place is a crime novel about four teenagers, the closest of friends, who attend st. kilda’s, an elite all-girls boarding school in dublin, ireland. a young man from the neighboring all-boys school was found dead on st. kilda's lawn nearly one year ago and the mystery of his murder has yet to be solved. one of the friends finds an anonymous note claiming to know details about the murder. she takes the card to a detective with whom she is familiar and that gets the ball on a going-nowhere investigation rolling again. i enjoyed reading to find out who knew what, who did what…all in all, a good murder mystery. there was a meta-physical aspect (think turning a light blub off with your mind) to the four girls’ relationship that i didn’t really understand. i think the book would have been just fine without it. as one who has been to and loved ireland, one of my favorite things about this book was reading the typically irish dialogue. “Elaine has the mailbox key and so is the one to collect the mail and so notices the new letters coming for Joan. They are exotic interlopers among ordinary white envelopes from Jacob and terse postcards from Joans’s mother: thick paper, odd sizes, European stamps, the address written with foreign flourishes by different hands. Elaine leaves the letters on the kitchen table. Joan takes them without comment and retreats behind the Indian cotton curtain that shields her bed. there is the sound of tearing, the rattle of paper, and then silence." had i been telling the story i'm sure to have written something like "elaine was the roommate with the chore of checking the mail. she began to notice some strange letters arriving for joan and wondered what they were all about." 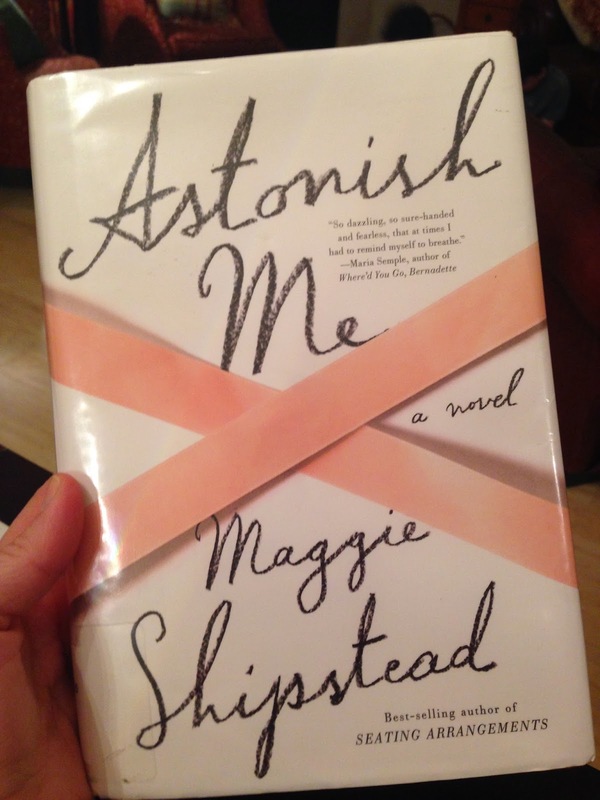 astonish me is a story about ballet, told through the life of joan. she is a professional ballerina but not a principal dancer; joan will forever be stuck in the core. when she finds herself pregnant she chooses to leave behind her first love, the ballet, and settle down into normal family life. as her son grows it becomes clear he is a gifted dancer and joan is brought back to the ballet, meshing together the two very different worlds she holds so dear. i loved the plot, i loved the ending, i loved the writing. i just loved it all. 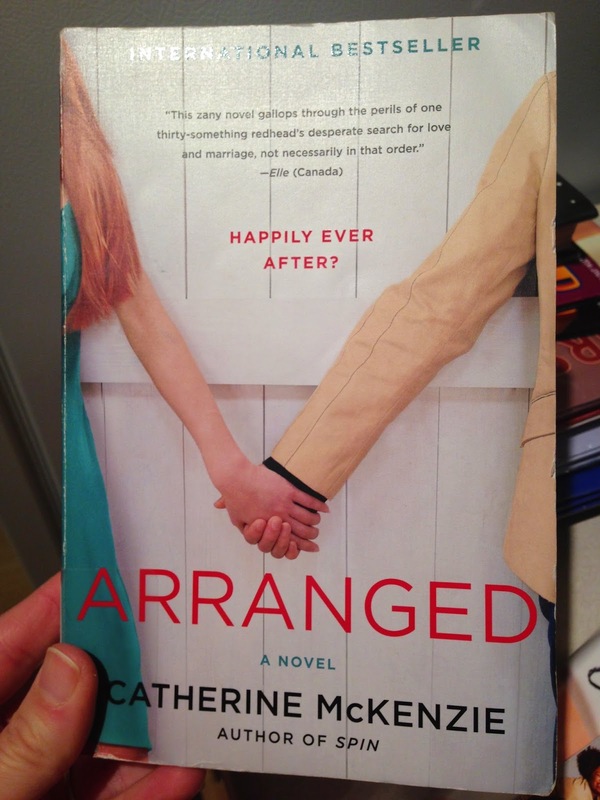 this was a quick, easy, chick lit book. the story was typical - girl continually chooses the wrong boy, girl signs up for a dating service in hopes of meeting the right boy, girl discovers the dating service is really an arranged marriage service (what? crazy!) and decides to go for it anyway. girl finally meets the right boy. but, as the cover states, will it be happily ever after? a memoir by a WASPy new yorker who made the poor choice to knowingly assist a cartel by carrying drug money through airport customs. ten years and a whole new life later she faces the consequence of that act - 15 months in federal prison. this is the story of her time served. i was definitely interested to read about her experiences behind bars. what i found most intriguing were the friendships she cultivated there and her feelings that she was a better person for having met and done time with women who society typically tosses aside. also, i found it cool that the author now volunteers and lobbies to improve the broken prison system. 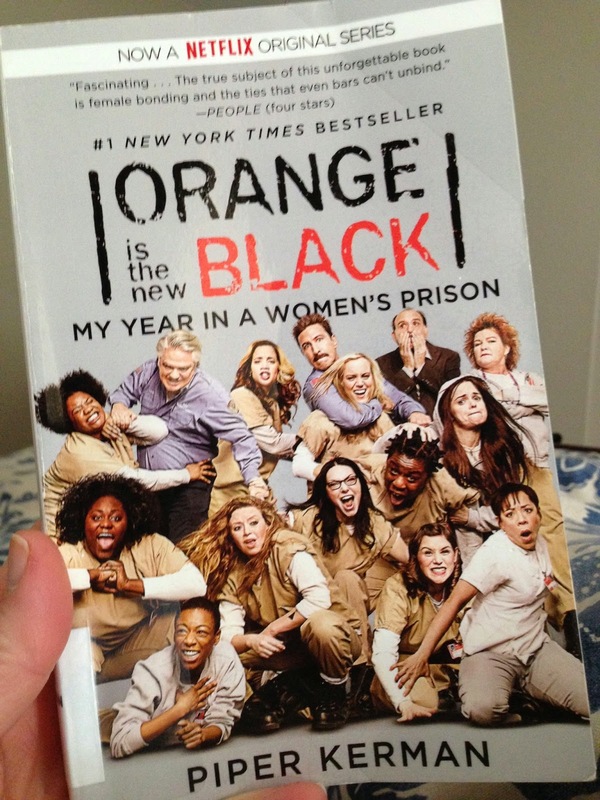 the book is very mild and tame compared to the netflix show of the same name, for which i was thankful. if you are curious about what it's like to be in prison (i think most of us are) this is a good read. i'm currently reading this; about one quarter of the way through. so far i'm just kinda meh about it and considering not finishing. 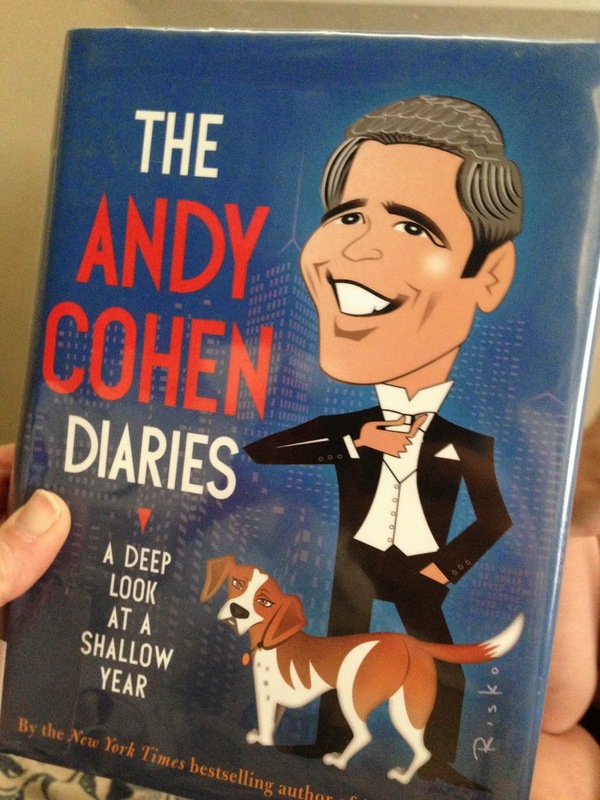 usually i like celebrity gossip behind-the-scenes things (andy cohen is an executive producer for the bravo network which airs the real housewives series; has many celebrity friends) so i'm surprised this hasn't peaked my interest.